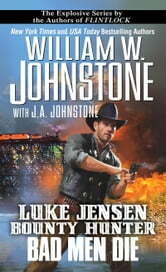 In this brilliant series from national bestselling authors William W. Johnstone and J.A. 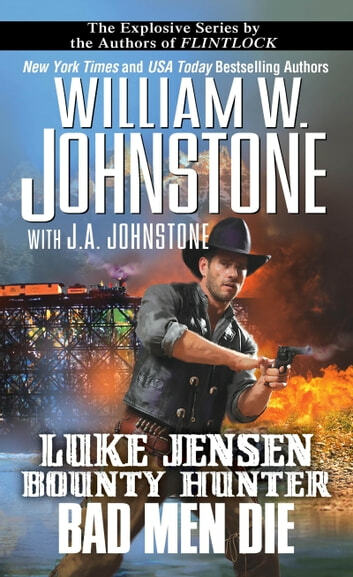 Johnstone, Luke Jensen, reported killed during the Civil War, comes back with a vengeance to forge his own legend in a violent, lawless land. What started as a routine hunt and grab—putting outlaw Thorp McCluskey on a train to Cheyenne and prison—has just gone straight to hell for bounty hunter Luke Jensen. First came the beautiful prostitute who pointed her alluring attentions in Luke’s direction. Then came a man who fought by Luke’s side in the war—but the war is over and friendships can turn deadly. Luke gets bushwacked, his prisoner is gone, and so is a fortune in gold.